With the colder months approaching now is the perfect time to get your staff looking sharp and, keeping them warm at the same time. This Port Authority button down with long sleeves is the perfect way to get that started. This shirt comes in a variety of colors and sizes so you can find something to fit everyone's needs. Order your's today with a minimum of 25 with your logo embroidered on the left chest for only $32.00 each. This is truly a price you can't beat for the quality of this shirt. 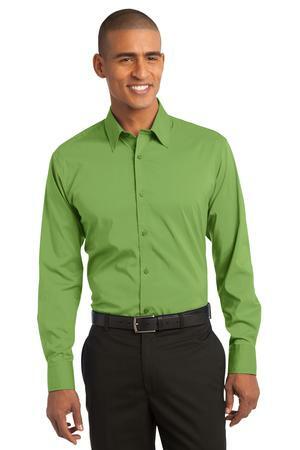 With a touch of spandex for enhanced movement, this poplin style stretches and moves with you as you go about your workday. Vibrant color makes it a go-to choice for today’s uniforming needs. NEW Sport-Tek® Active Textured Colorblock Polo.